If you have looked at any Swiss websites, you may have noticed that their country abbreviation is “ch”. This is also the country code/abbreviation you see on cars, money and stamps. What does the CH stand for? Confederatio Helvetica. Just don’t ask me how to pronounce it. Switzerland has four official languages (French, German, Italian and Romansh) that each have their own word for Switzerland. To not favor any one language, the Swiss use the Latin term for Switzerland, Confederatio Helvetica. Problem solved. Who were the Helvetians? They were a tribe that lived in Switzerland that were beaten by Julius Cesar in 58 B.C. 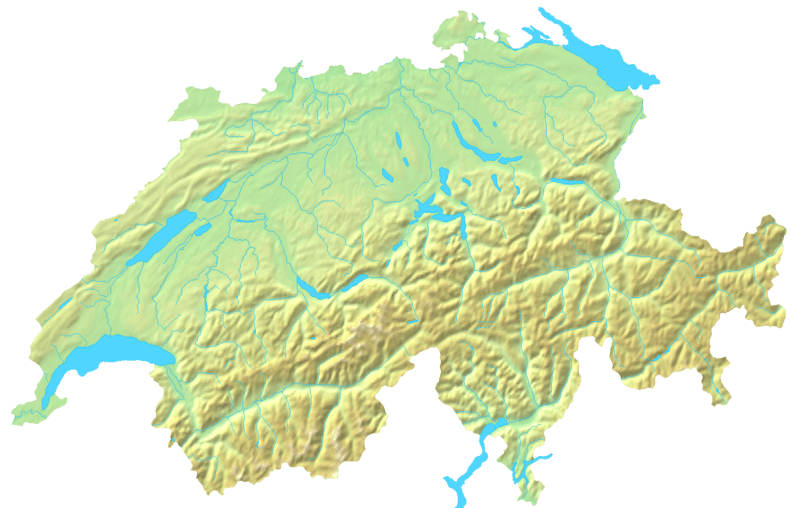 They lived (more or less) in the borders of modern day Switzerland. This isn’t terribly surprising as modern day Switzerland follows natural geographic boundaries (the Rhine, the Rhone, the Alps and the Jura).